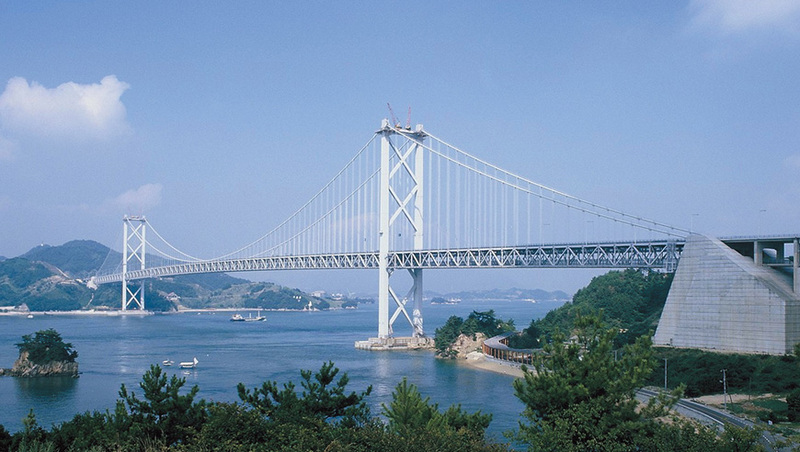 Ever since 1959, when Nichireki succeeded in developing and commercializing "CATIOZOL" as Japan’s first cationic asphalt emulsion, the company has continued to supply a variety of products centered on paving materials. Today, the company has succeeded in establishing a brand image where the Nichireki name is synonymous with paving materials. Nichireki believes that this was possible due to the guidance it has received until now from many of its customers together with the accumulation of technology over many years and months, which has blossomed and borne fruit. 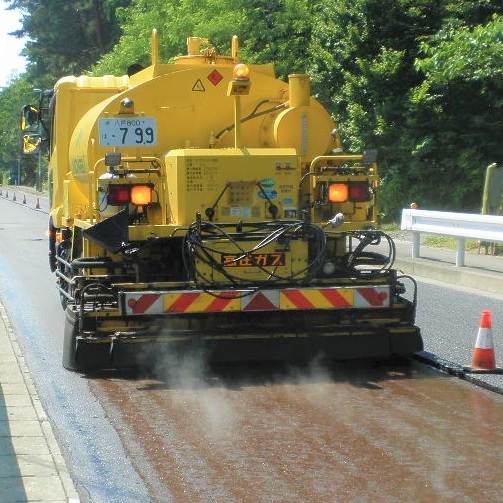 Its core products include various types of asphalt emulsions used when newly constructing and recycling road paving, and a variety of modified asphalts that were developed from the viewpoints of securing long paving product life, high efficiency, and multifunctionality. 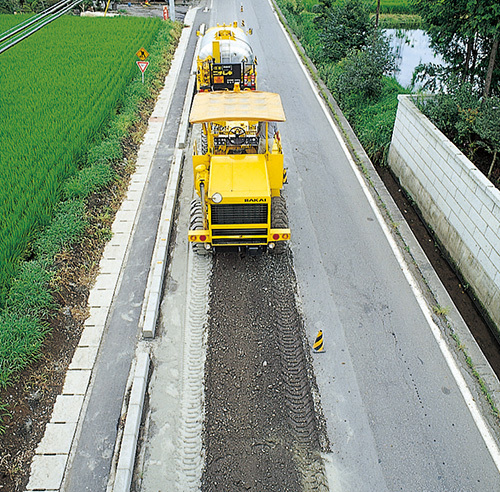 Additionally, Nichireki is contributing to society by supplying various products that respond to the needs of the times, including modified asphalt emulsions with greatly improved adhesive strengths, bridge waterproofing materials that realize longer product lives, crack sealing materials which support preventive repairs, pothole filling materials that allow all-weather implementation, and surface level correcting materials which reduce vibration and noise.